City of Pickering-Probationary Firefighter | Ontario Fire Administration Inc.
You must have valid certificates for Stages One, Two, and Three to apply to the City of Pickering. The posting closes December 19, 2018. Questions regarding the City of Pickering recruitment process should be directed to Pickering. An immediate opportunity exists for Probationary Firefighters to respond to emergency situations of various types in an effective and efficient manner to protect the health/welfare and property of the citizens of Pickering. Other responsibilities include various station and communication duties, fire safety inspections, pre-fire planning and home safety programs to promote community safety. A post secondary diploma in a Pre-Service Firefighter Education & Training Program from a recognized College, or an acceptable combination of education, training and experience. NFPA 1001 Fire Fighter Level I and Level II, IFSAC or Pro Board Certificate. Must possess current Standard First Aid and Basic Rescuer CPR-C Certificates. Proof of certifications must be provided at the time of interview. Must possess a valid Ontario Class “D” licence with “Z” endorsement and be willing to provide a driver’s abstract. A clean driving record is preferred. Must be medically and physically fit (as prescribed by OFAI standards) to perform prolonged and/or dangerous work sometimes under adverse conditions and to meet the agility requirements of the job and be willing to maintain this level. 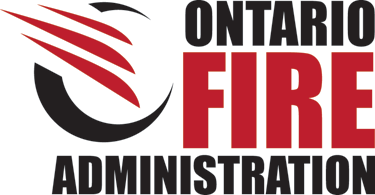 Qualified candidates must have successfully completed stages one, two, and three of Ontario Fire Administration Inc. Candidate Testing Program and hold a current and valid OFAI certificate for all three stages at the time of application. For more information, please visit www.ofai.ca. (All costs associated with the test are the responsibility of the applicant). Demonstrated ability to problem solve and analyze potential risks quickly. Previous firefighting experience is considered an asset. Demonstrated ability to communicate clearly and concisely in the English language with the skills to deal with the public in a professional manner sometimes under stressful and chaotic conditions. Demonstrated proficiency in the use of personal computers and Windows based computer applications. Ability to safely operate mechanical equipment including hydraulic, electrical, hand equipment and tools an asset. Must be prepared to undergo a Criminal Reference check as a condition of employment. Must be willing to work on rotating shifts; currently a 24 hour shift system which includes weekends and holidays. Remuneration includes a comprehensive benefits package, pension plan and an annual salary of $58,899.00. Qualified applicants must complete the electronic Firefighter Application Form no later than Wednesday, December 19, 2018 in order to be considered. Please do not email, fax or send hard copies of your resume/application. Instead, please attach your cover letter and resume in PDF format directly into the online application form. Please note, only those selected for an interview will be contacted directly by Human Resources and will be required to bring supporting documents such as diplomas and certifications at the time of interview which will commence in January. Once you click submit, you will receive an email notification advising that your application has been received. No phone calls or emails please.